While CarolinaPreps.com is the premier brand when it comes to covering high school football in North Carolina, there is more that goes into CP than just reporting scores or telling the latest sports stories from around the state. 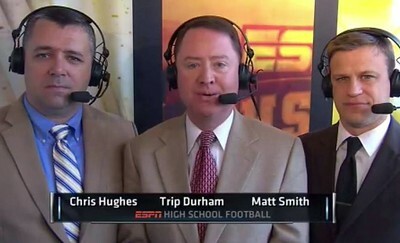 Chris Hughes has solidified himself as a leader within the high school sports arena in the Carolinas. Reputation is important and he’s earned the credibility with coaches, athletic directors, media, and the fans from around the state. This comes from years of being the source for state-wide football coverage. A native of Rowan County, Hughes is a medically retired, disabled veteran who honorably served for 13 years in the U.S. Army as a paratrooper in the famed 82nd Airborne Division and later in the U.S. Army Special Operations Command and 3rd Armored Corps. He has been on numerous combat deployments. Hughes also has nearly a decade of coaching experience that began at South Rowan High School and culminated with a coordinator role at Douglas Byrd High School. 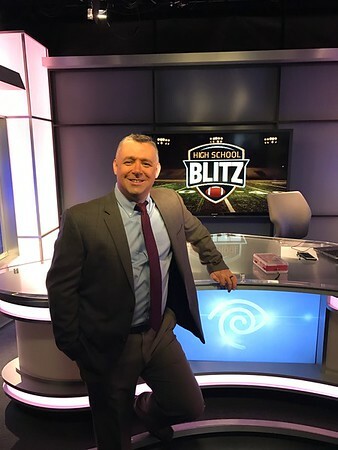 Aside from his role with CP, he has spent much of the past decade broadcasting sports for Time Warner / Spectrum Sports, ESPN-U, SiriusXM, and over the air waves co-hosting a sports talk radio show on AM 1490, WAZZ in Fayetteville. In 2012 he began working as a chief contributor for the preseason preview magazine FNF-Carolinas, and has also worked as a recruiting analyst for Scout.com and Southern Pigskin. He has also spent many years volunteering on the game committee for the Shrine Bowl of the Carolinas, he’s covered nearly all major high school football all-star games across the nation, and has gained notoriety for his Carolina Preps Stadium Project, a unique photo tour that has led him to every high school football stadium in North Carolina. Follow Chris on the following social media networks.